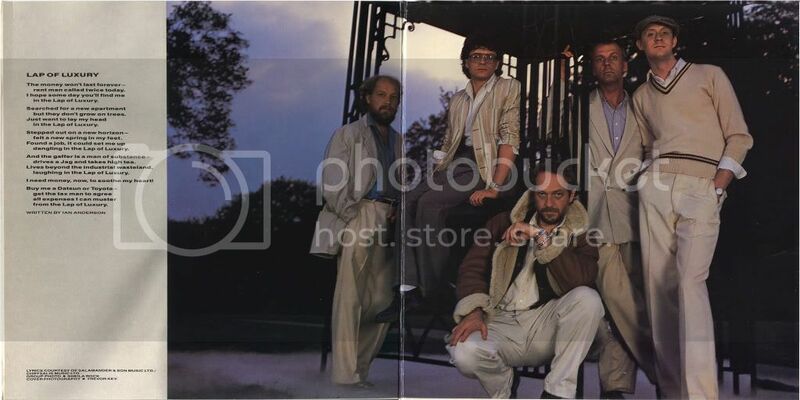 Hi....can anybody post or send me by e-mail a Hi Res scan of the cover of LAP OF LUXURY - 4 Track EP? Hello, and welcome here, Apuertam! I think that our friends Derek Pith and Tootull may be able to help you with this, or at least point you in the right direction to help you obtain it. Thanks for joining here, I think you will find it to be an interesting and fun place! I've added the images there, but I suspect you want them as 'flat' images via a scanner. If you can give me a week, I'll dig them back out of storage and try to scan them and repost them here for you, unless of course one of our other esteemed members beats me to it and posts them here first. My apologies, i had a bit of an enforced, unexpected absence from the board, i will try and get the images up for you ASAP. Here you go, apologies for the delay in getting these up on the board for you. Although my least favorite Tull disc, I still love it anyway. The video ''Lap of Luxury'' is also on the remastered CD. Naturally I have it. I think there's some great songwriting on that album. Like all Tull, it has a great sense of tunefulness and melody, and the lyrics are mostly good. 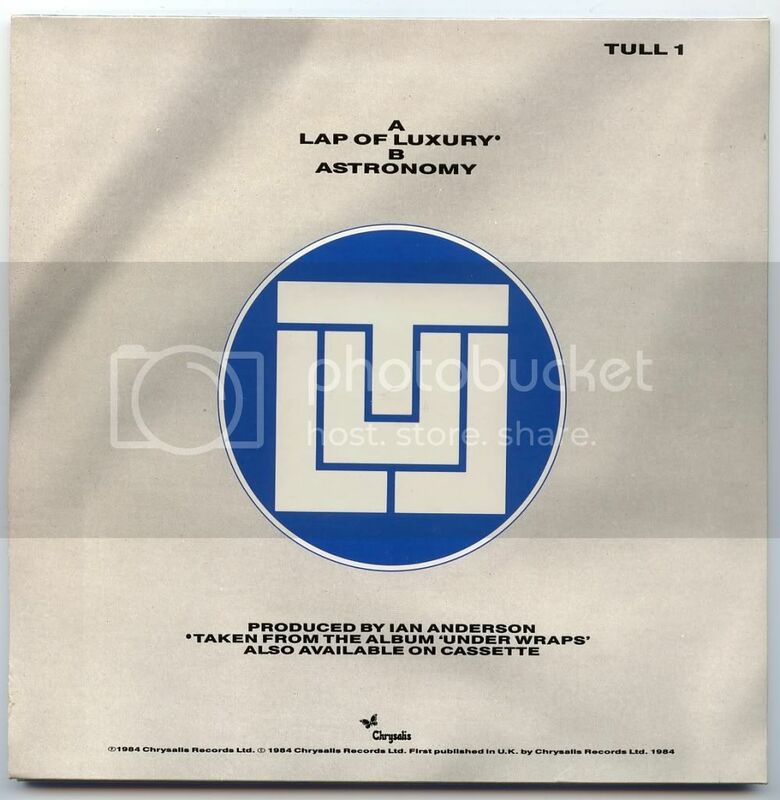 I never liked the song Lap of Luxury that much because it seemed like an attempt by Ian to put out a commercial song. He started that trend, I think, with Beastie on the Broadsword album, and continued it by leading off every subsequent album with a rather ordinary (by Tull standards) or catchy song that was intended to get radio airplay. Steelmonkey, Kissing Willie, This is Not Love and Spiral are other examples of what I am talking about. For me Lap of luxury is the weakest song on the album, and the drum track on it is the most irritating use anywhere on the album. The rest I pretty much really enjoy [with the exception of Automotive engineering]. Yes you are right. I agree with the analogy about the opening songs as well.